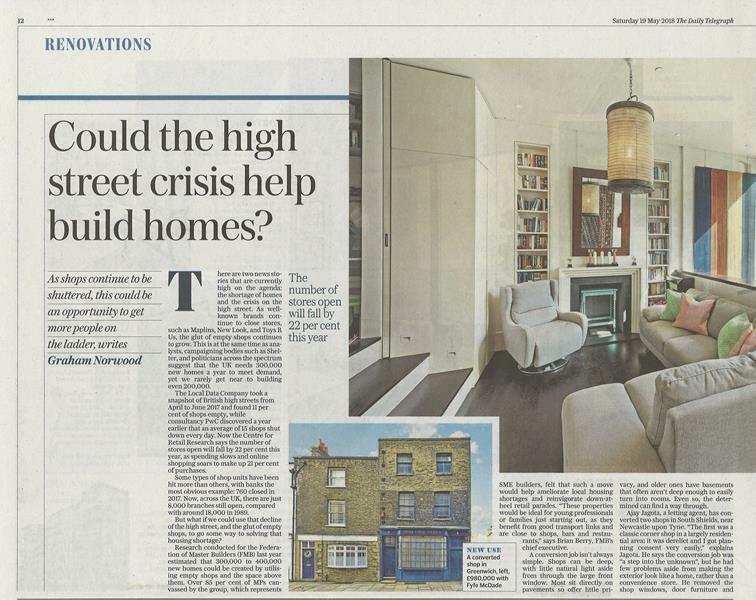 Could the high street crisis help build homes? Daily Telegraph Press Coverage on a development site the Waterloo office is selling in Greenwich. Previously a shop with residential above on Nevada Street. 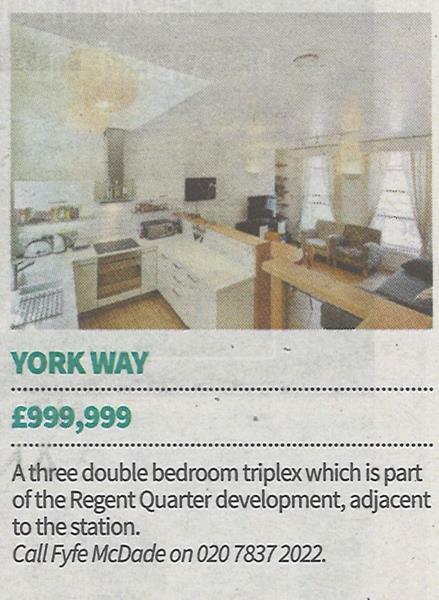 City A.M coverage on York Way, a three bedroom property listed with our Fyfe Mcdade Bloomsbury branch.